In essence, it is a guidebook to assist in navigating the tougher aspects of life, with the vantage of authentic life experience. Trusting the process of life and the mysterious ways of the Universe. You want inspiration on your next step in life? To delve into the deeper meanings of this journey and experience a paradigm shift of perspective in tune with the Universe. To feel a kindred spirit resonation that authentically interconnects to your own journey. 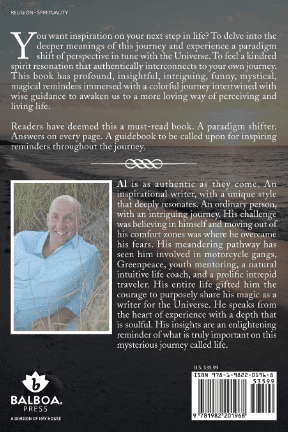 This book has profound, insightful, intriguing, funny, mystical, magical reminders immersed with a colorful journey intertwined with wise guidance to awaken us to a more loving way of perceiving and living life. Readers have deemed this a must-read book. A paradigm shifter. Answers on every page. A guidebook to be called upon for inspiring reminders throughout the journey. Camilla: What inspired you to write ‘Becoming One With the Universe’? Al: What I believed to be a curse, was a blessing in disguise. At the age of 13 a health issue led me to crossing paths with a very wise loving woman. She was an ordinary person that lived and loved from an extraordinary place. Unbeknown to the younger version of myself I embarked on an “apprenticeship” of learning and remembering the mystical mysteries of life from a Universal perspective. However it wasn’t to be a mere crossing of paths. 20 years would roll on past. I embarked on a road less travelled where I was awoken to deeper truths about life. A passing of knowledge, wisdom, and unconditional love was gifted as an inspirational baton of light. The choice would be mine as to whether I would decide to continue to share the message in my own way. My loving mentor’s shock departure of these Earthly realms causing a deep grieving process. However, in time it also triggered a spark of divinity within me that caused a rising up to develop self-belief to overcome my own fears. Self-doubt haunted me with “who am I “ to share such a powerful message. My soul’s purpose would not rest. There was a gentle inner insistence that I was to stand authentically to courageously pass the baton of light of love to others that I had been privileged to receive. After winning an “internal battle” I chose to step up. It wasn’t just about Al. I deeply wanted to honor my mentors life and teachings, my own journey and purpose. At times all I could do was simply keep going. One step after another sometimes precarious step. I came to believe my soul purpose is to inspire others. Before I did this it was paramount to me that I could demonstrate that I deeply live this stuff. I wanted to give readers a feeling of authenticity that resonated a soulful truth. Camilla: What are the main messages readers are taking away from the book? Al: A stronger belief in self. A sense that they are being guided and to trust this process implicitly. That we are all gifted in our own way, and all have a purpose and something unique to offer the world. Trusting the process of life on all levels is key to relaxing into life. What is wrong for one journey is perfectly right for another. Life is magical if we believe it to be. It’s not so if we don’t. Comfort zones only hold us back from truly experiencing this incredible gift of life. We can handle anything in life. We already have proof of this. The Universe is always communing with us all, via signs, reminders, reflections, synchronicities, “coincidences”, and all who cross our path. Letting go is easier than holding on in the long run. Every experience is a gift to cherish, learn from and remember a deeper truth. All dreams are possible once we let go of what has, but no longer serves us. Love is the answer. World Peace is possible. Camilla: Tell us about the title of the book and the cover image. How were they decided upon and what inspired each? Al: When the manuscript of the book was first finished a select small group of people read it. The general consensus was the messages within the book has been divinely guided by the Universe. Hence, using Universe in the title became paramount. Since we are all on a journey returning to Love, the words “Becoming one with the Universe” resonated. The cover images are photos I took myself on a simple smart phone. It seemed more potent to have personalised photos used to match my energy within the insights and words of the book. The sunset (and footprints) on the rear of the book is a time I believe to be a brilliant time for reflection. Camilla: What final message would you like to share? Al: I’ve been through it. At many stages of the journey wanting not only to give up, but wanting out of life. The message the Dalia Lama delivers of “never giving up” is incredibly important in honouring this gift of life and ourselves. I had no idea I would have the confidence, the resilience, and courage to write a book with the intention to inspire others to live their lives authentically, with intentional purpose and that they deserved to be happy, to love and be loved. My challenge was to deeply believe in myself. So I say to you; Give yourself permission to let go of all that does not serve you and choose to dream big, believe in yourself and follow your passionate dreams. 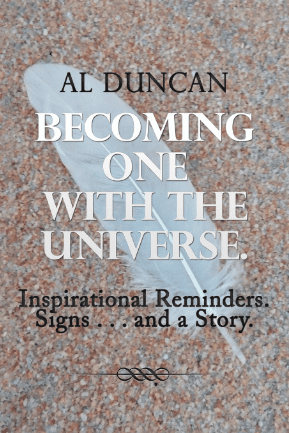 Al Duncan is an authentic, inspirational writer with a unique style that deeply resonates. An ordinary person, with an intriguing journey. His challenge was believing in himself, and moving out of his comfort zones was where he overcame his fears. His meandering journey has seen him involved in motorcycle gangs, Greenpeace, youth mentoring, a natural intuitive life coach, and a prolific intrepid traveler. His entire journey gifted him the courage, trust in self and the Universe to purposely share his magic as a writer for the Universe. He speaks from the heart of experience with a depth that is soulful. His insights are an enlightening reminder of what is truly important on this mysterious journey called life. 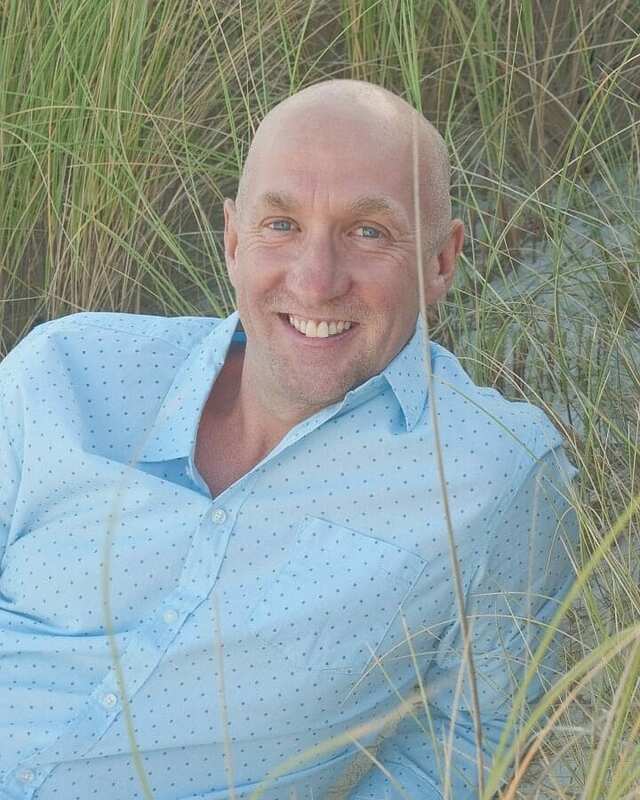 To connect further with Al, please visit his website at http://www.alduncanauthor.com/. This book is a treasure of Truth, Enlightenment and Awareness. I have yet to digest the whole book but encourage anyone who is on the path of awakening to get this book! – Lisa R.
This JOURNEY from the MIND to the SOUL IS THE MOST BEAUTIFUL and HEART expanding I HAVE taken in ALONG time!! 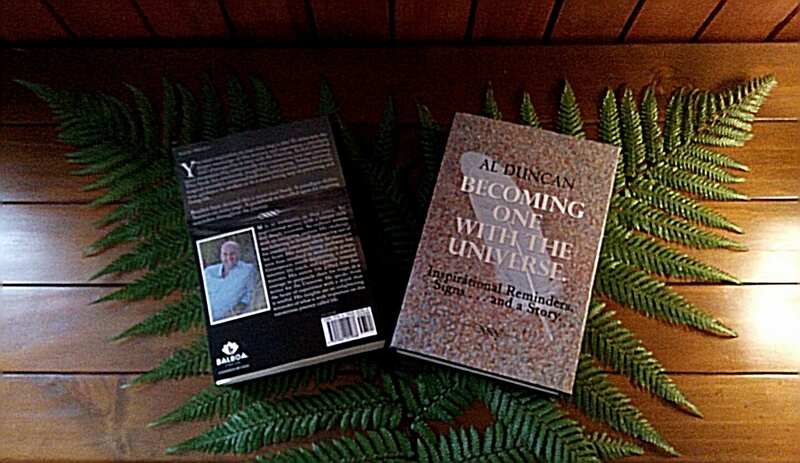 You can learn more and purchase “Becoming One With the Universe” by going HERE. 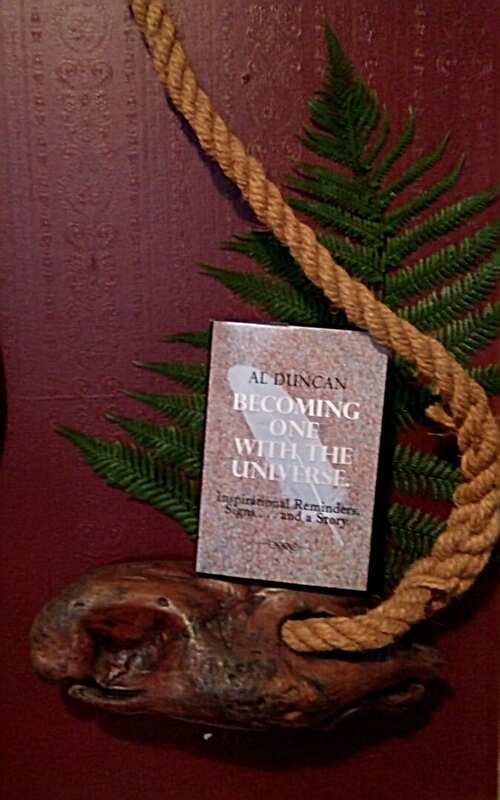 This entry was posted in News and Events and tagged al duncan author, becoming one with the universe, guide to the universe, returning to love, spiritual book by Camilla. Bookmark the permalink. Great interview Camilla! I enjoyed getting to know Al and his book! Sounds like a fabulous read. I love the meaning of the white feather and Al’s message of believing in ourselves and following our passionate dreams. I wish you success with your book Al. And may Becoming One with the Universe touch the lives of many. Love, Jessica.